More about Finn Crisp Multigrain Sourdough Rye Thins An all-natural, whole grain, and low-calorie answer to your crispy cravings: Finn Crisp. Super-thin rectangles are baked with care to crispy perfection, free of artificial ingredients and GMOs. Bursting with multigrain goodness from wholegrain rye, wholegrain oat, barley and millet, it's tasty enough to nibble on its own but is the perfect pair to so many things. 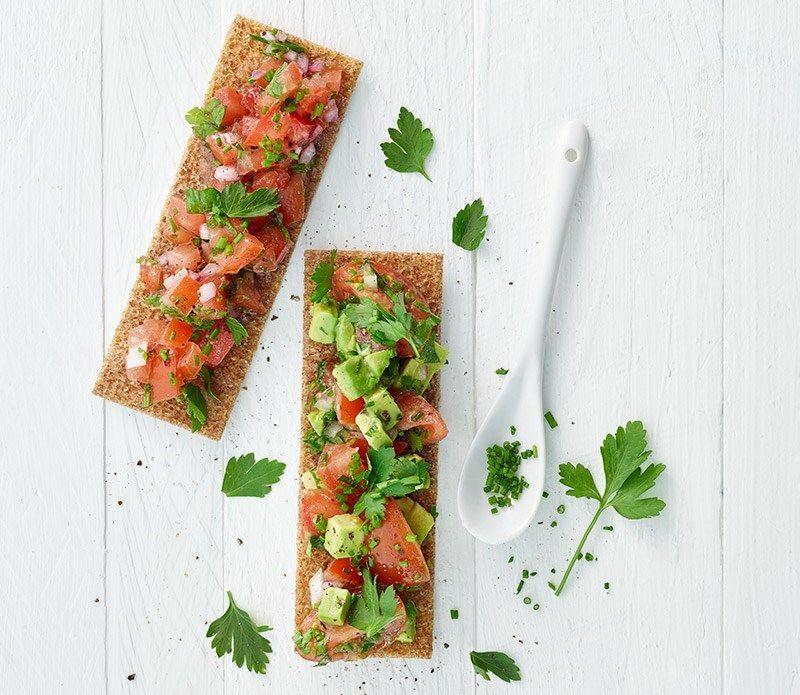 Spread butter, cheese, or hummus and top with any open-faced sandwich topping you can imagine, such as cured salmon, avocado, cucumber or tomato. Serve as appetizers with artful herb garnishes, or as a side for soups and salads. 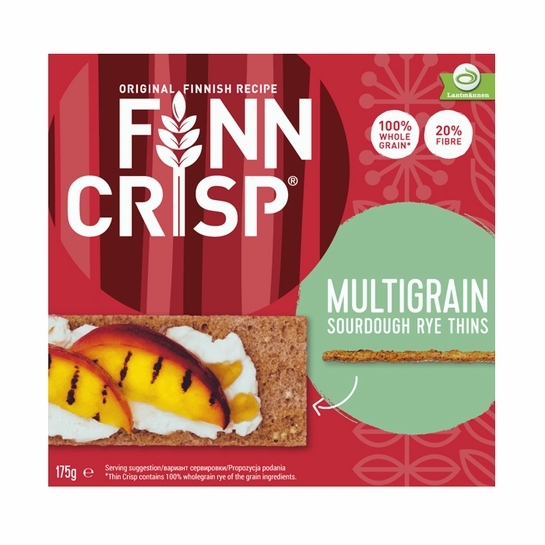 The lightweight crunch and dark rye flavor are a satisfying and healthy Finnish treat. Ingredients: Wholegrain rye flour 58%, wheat flour 20%, wholegrain oat flour 8%, wholegrain barley flour 5%, water, millet 3%, salt and yeast. May contain traces of sesame seeds. 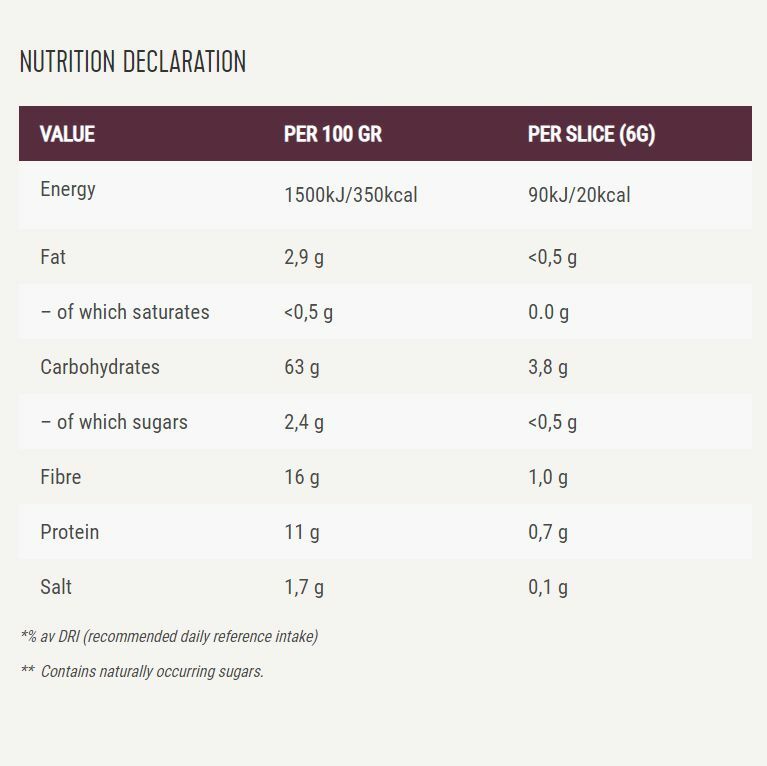 See alternate images for nutritional information. Excellent; shipped overnight and very tasty!